The HDMI 4K2K Scaler is designed to upscale 1080p@24Hz signal into 4K2K or downscale 4K2K signal into 1080p@24Hz. 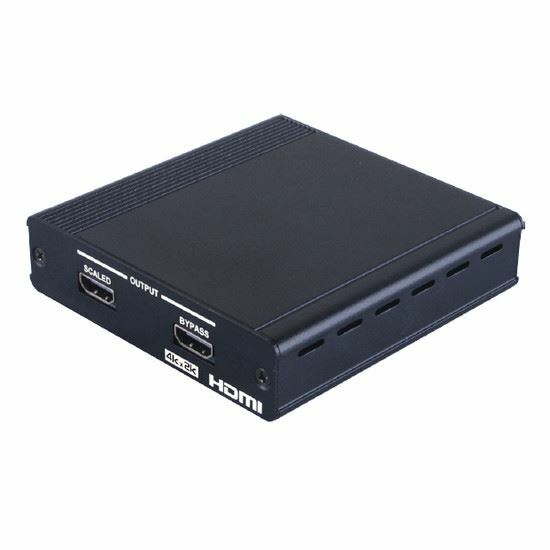 With a friendly and simple design which allows the user with direct viewing on input resolution and switching output signal format up to 2 simultaneous HDMI. The HDMI 4K2K Scaler is your best media between HD and Ultra HD signal.